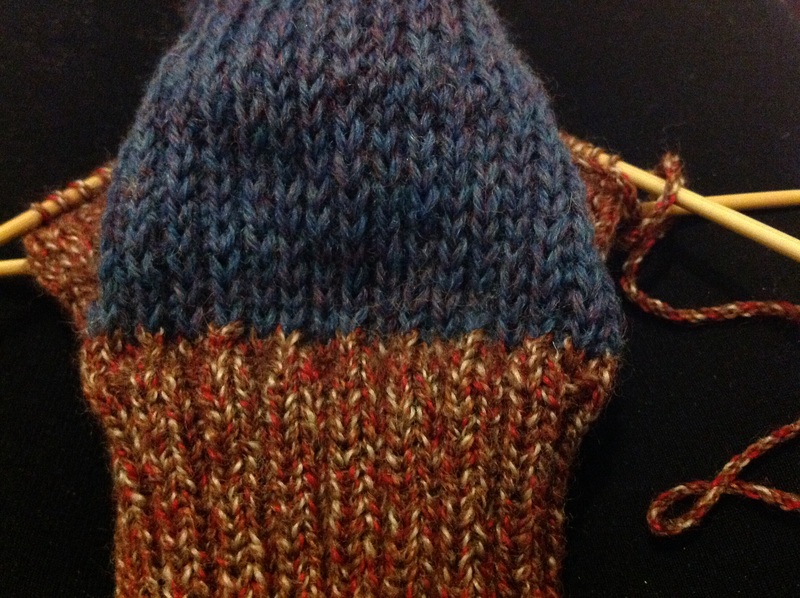 I have got no shortage of big projects I’d like to cast on, there are all these beautiful cardigans, knitted dresses, Tees and pullovers in the queue, along with jumpers for Paul and Thom… But I’m on a mission to knit us socks at the moment. I’m really enjoying working on smaller, easier to carry around projects. 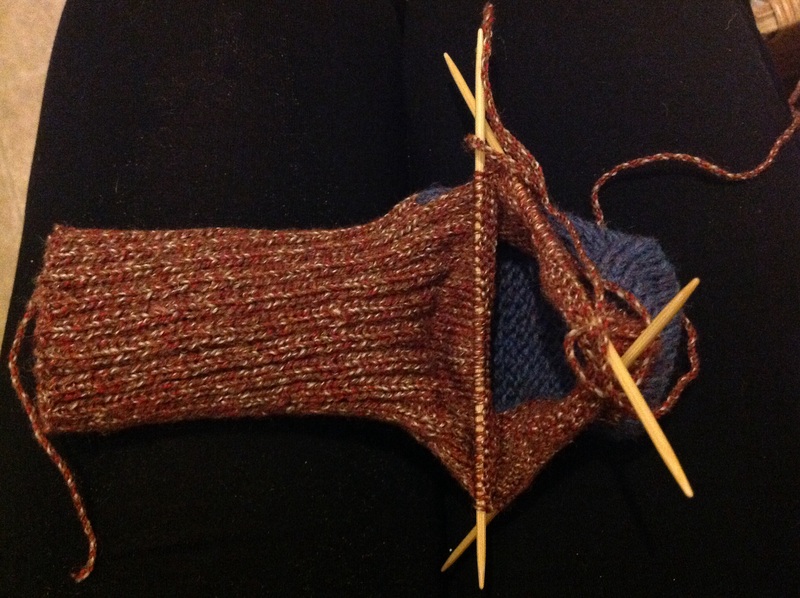 I think I will always have a pair on the go even when I go back to knitting bigger garments. Thom wants me to knit him an octopus and a knitten…you know, a knitted kitten. There is a socktopus on Knitty.com that you could always make for him! And of course, you could put mittens on that kitten. The socks are looking lovely. What yarn are you using? It looks almost shiny in the light.